The name rhinoceros sometimes is called as rhino. The term has a meaning of a nose horn animal. Rhino is a big animal. Generally the weight of this animal can reach more than 2200 lb. or 1000 kilogram. The white rhino can have the weight more than 7700 lb. or 3500 kilogram. If you want to have acute pet, see it on Golden Retriever facts. 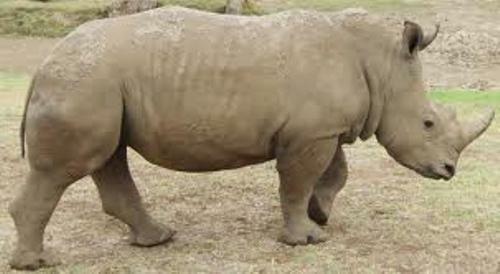 White rhino is considered as the biggest one among all of the rhino species. It is also seen as the second largest mammal in the world. The first biggest mammal is taken by elephants. Rhino is subject to extinction. They are hunted by people and suffer because of the habitat’s loss. 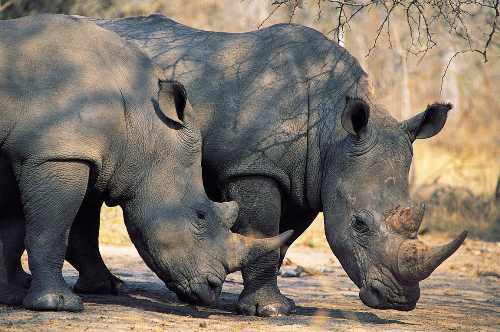 Three of five species of rhinos are included on the endangered animal list. If you like a small and funny animal, check hedgehog facts. 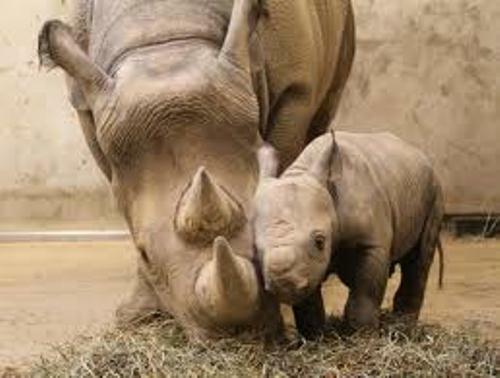 When you are asked about rhino, you will always think the nose horn of this animal. The horn is created from keratin. It is a kind of protein that is used to make up hair and fingernails. You are wrong if you think that the big body of rhino also gives him a big brain. This huge animal only has a small brain. Have you ever touched rhino? The skin is functioned as protection because it is thick and hard. 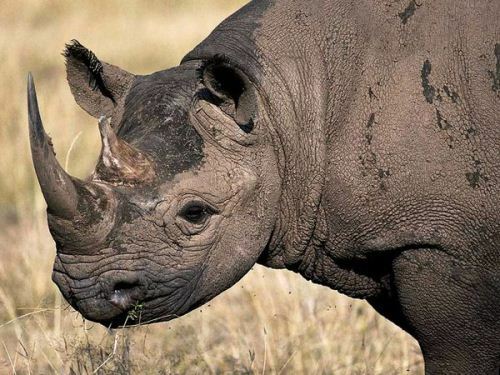 It is better for you to stay away from rhino because this animal has an ill temper. Their eyesight is poor. If you close to the rhino suddenly, it makes them surprised and frightened. This nearsighted animal has a great sense of smell and hearing. Javan rhino is considered as the rarest rhino in the world. The animal can be seen preserved on the Ujung Kulon National Park Indonesia and Cat Tien National Park in Vietnam. It is estimated that only 50 javan rhinos are survived. Despite the biggest body, rhinos can run fast. You can see that a black rhino can run in the speed up to 40 miles per hour. Based on the source of the international rhino foundation, it is stated that zebra, horses and tapirs have closest relation with rhino. Are you impressed with facts about rhino? Black widow facts reveal the general information and surprising habit of this animal. Have you seen this spider before?